From the Modern Bliss collection by Andie Hanna for Robert Kaufman Fabrics. 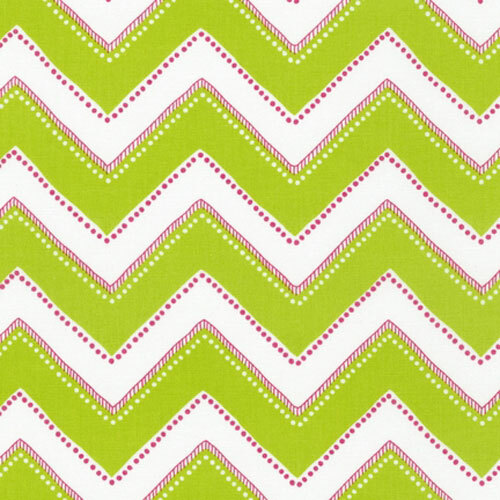 Zig zag stripes in bright lime green with hot pink accents on a white background. Suitable for quilting or apparel.